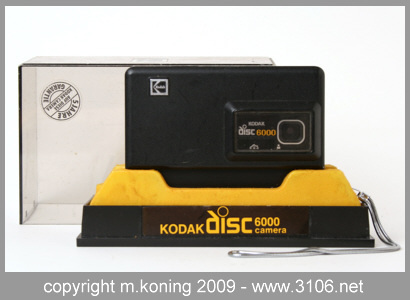 The Kodak Disc 6000 was once the nicer camera in the disc series. The nicest feature being the close up lens for portraits, which not only shifts an additional lens in front of the taking lens, but also slides a lens in front of the view finder for parallax correction. 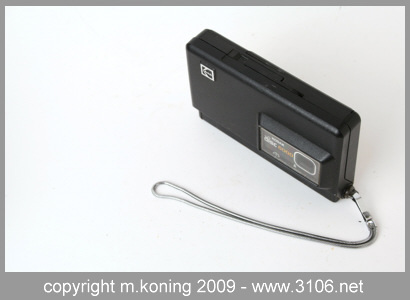 It also has a door which is used to protect the lens and buttons. Flash : small flash built in, fires automatically.